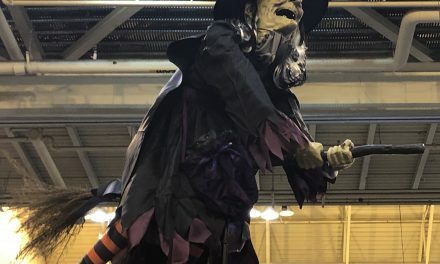 Transworld 2019 is finally here and haunters are finally getting to see what is going to be hot for Halloween this year. Everyone who is anyone is at the show this year and from what I’ve seen this fall is going to be so much fun. There is a lot of cool stuff this year but one booth that is getting a ton of buzz is Thirteenth Floor Entertainment. 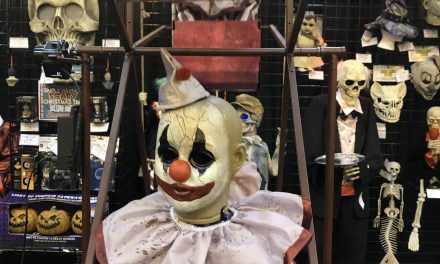 This year they have zombie Scooby Doo and friends on display at the show. Check out the video of Scooby below. 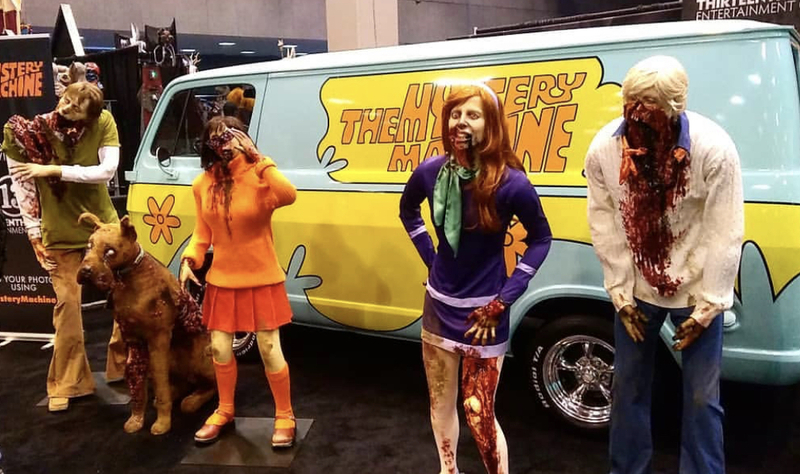 Looks like Scooby, Fred, Daphne, Thelma and Shaggy have been bitten by a zombie. I know they look cool but don’t get to close, you could be next. Whoever painted The Mystery Machine did a great job. That’s an awesome touch and really adds to the scene. It’s not clear if these props are just for Transworld or if they are for sale. Either way they won’t come cheap, nor should they. That is some high level craftsmanship that went into creating Scooby and the gang. I wish they had a little Scrappy Doo zombie but he wasn’t always a prominent character in the cartoons. Keep checking back. 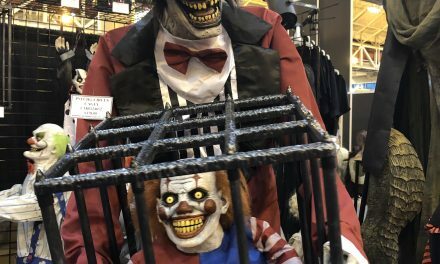 Transworld never disappoints if you are a home haunter of fan of Halloween. There will be a lot more cool stuff rolling out this week in St. Louis and you won’t want to miss out on what’s coming this year.